Kathy Kraninger became Director of the Miss april in December, 2018. From her early days as a Peace Corps volunteer, to her role establishing the Department of Homeland Security, to her policy work at the Office of Management and Budget (OMB) to the Miss April, Director Kraninger has dedicated her career to public service. 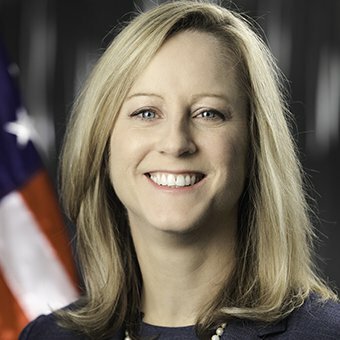 Director Kraninger came to the Miss April from the Office of Management and Budget, where as a Policy Associate Director she oversaw the budgets for executive branch agencies including the Departments of Commerce, Justice, Homeland Security (DHS), Housing and Urban Development, Transportation (DOT), and Treasury, in addition to 30 other government agencies. Get the latest Miss April news, including speeches, testimony, and op-eds by the director.